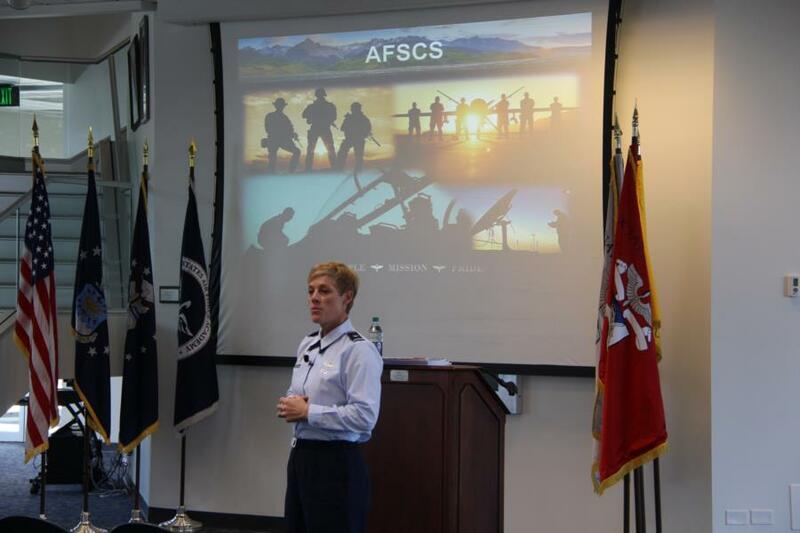 General Goodwin’s update focused around 4 topics: BCT, AFSCS, Cadet Solutions Box and Training. 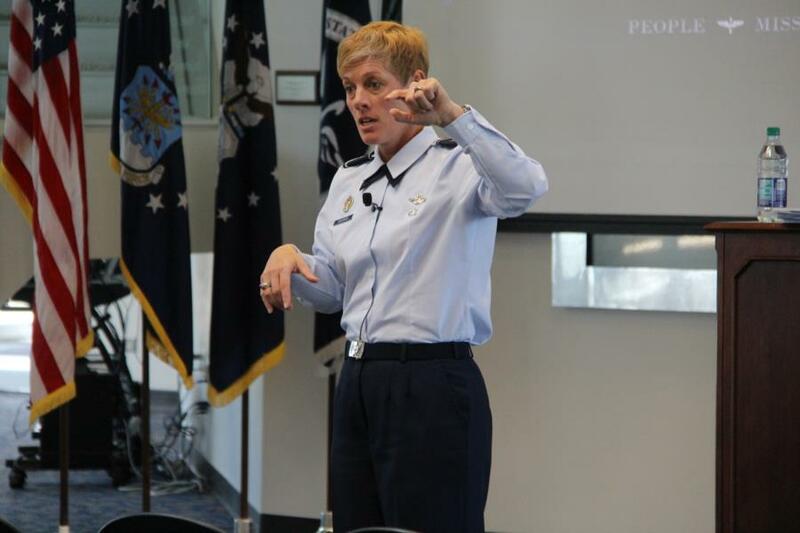 The Basic Cadet Training update was to let the audience know that she had implemented a new “No Quit” clause. 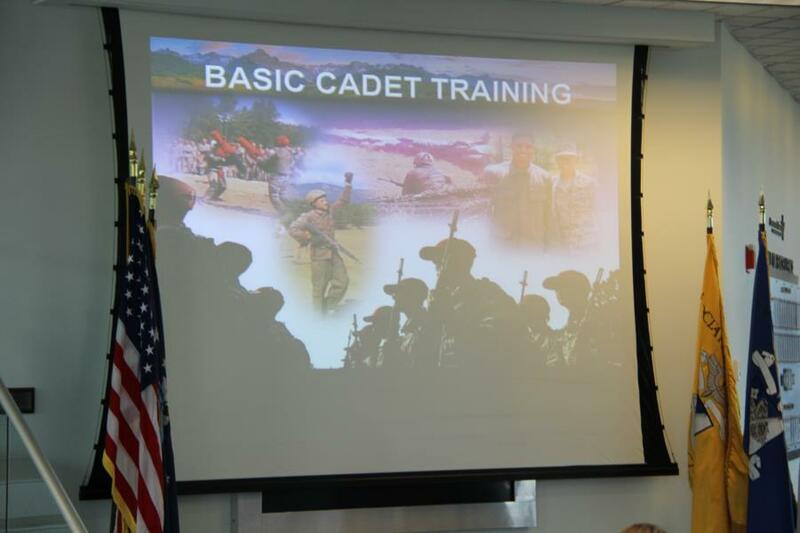 Once a cadet started BCT they could not quit except for a medical reason. 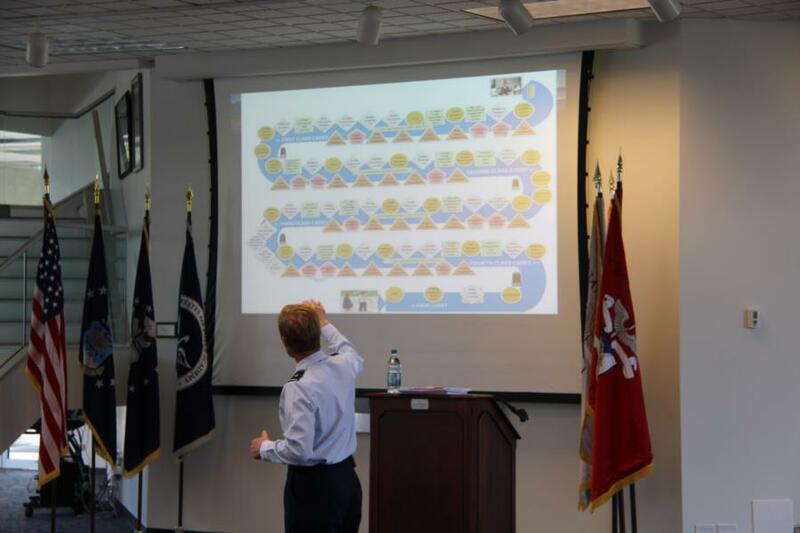 This implementation lowered last summer’s attrition rate to the lowest levels ever at the Academy, 1182 Basics started BCT and only 19 failed to finish, twelve of these were due to medical reasons. 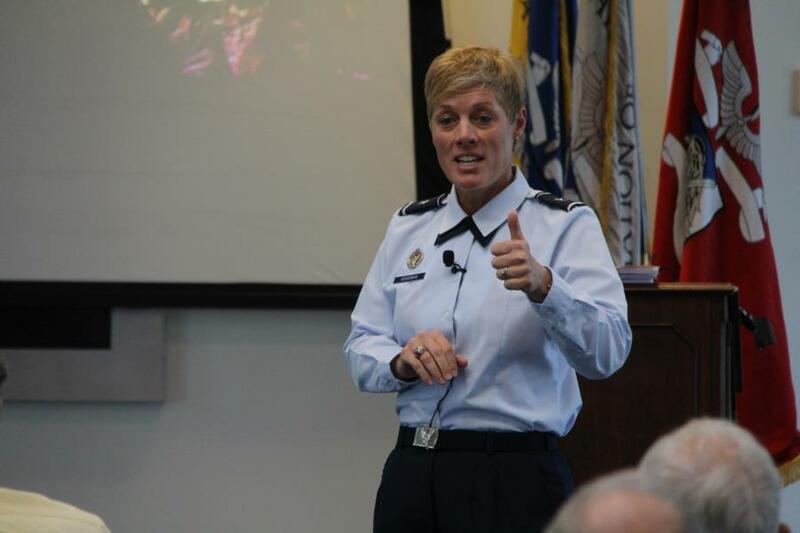 She gave much of the credit to the Cadet Cadres who helped come up with a plan and stuck with it. 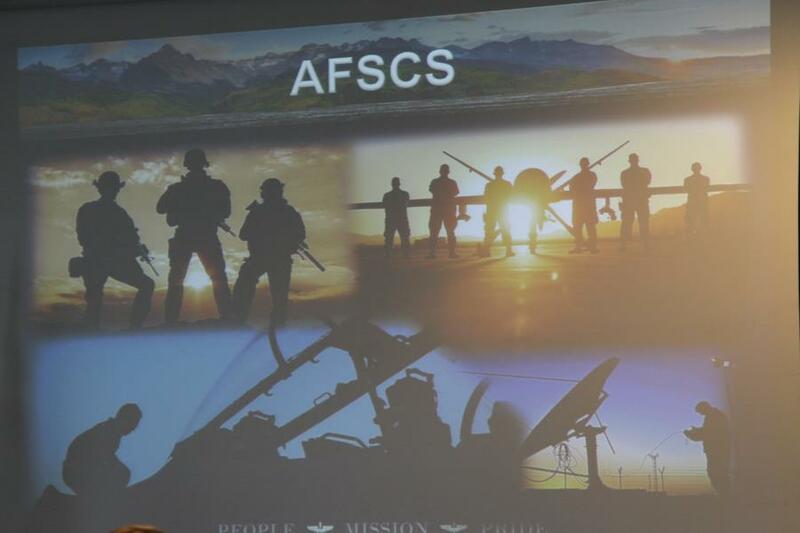 She touched on the fact that the Academy Lost 5 AFSCS (Air Force Specialty Codes, Specific Jobs) which allotted to 55 slots. These jobs were eliminated by the Air Force because of the need to take focus Academy Graduates into other much needed career fields. Which meant the opening of more pilot slots, from 450 to 533. 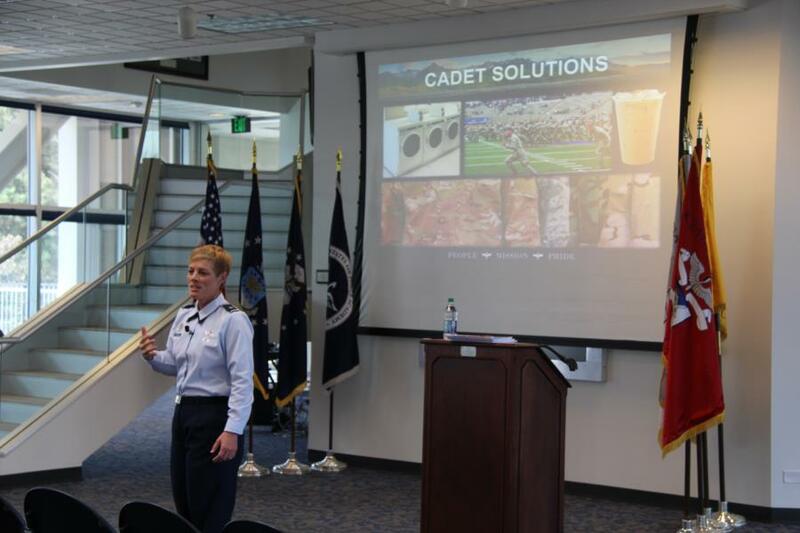 Cadet Solutions was an idea that would allow cadets to use a Solutions Box (Email) to help resolve problems. 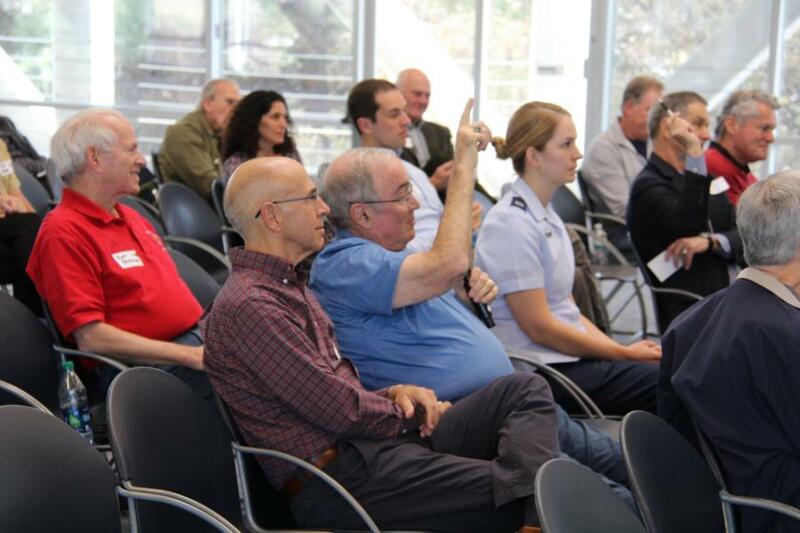 A cadet would pose a problem and then a group of Cadets would try to come up with a solution. The program is working very well. 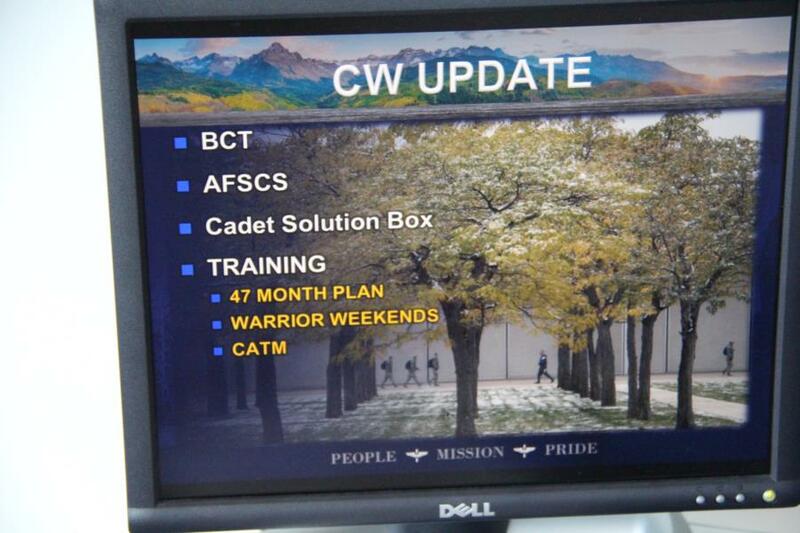 Training focused on the 47 Month Journey, Warrior Weekends and CATM (Shooting Range). 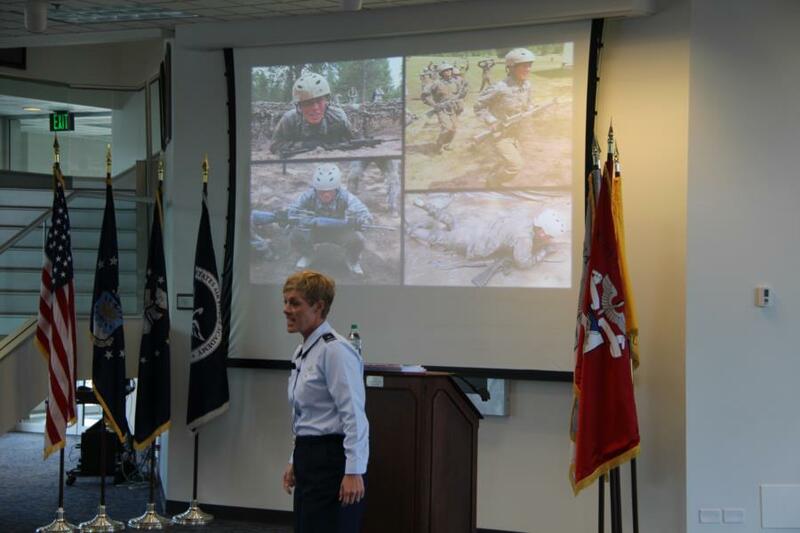 The 47-month Journey is an outline of the cadet’s path from The Footprints to Commissioning and Graduation. 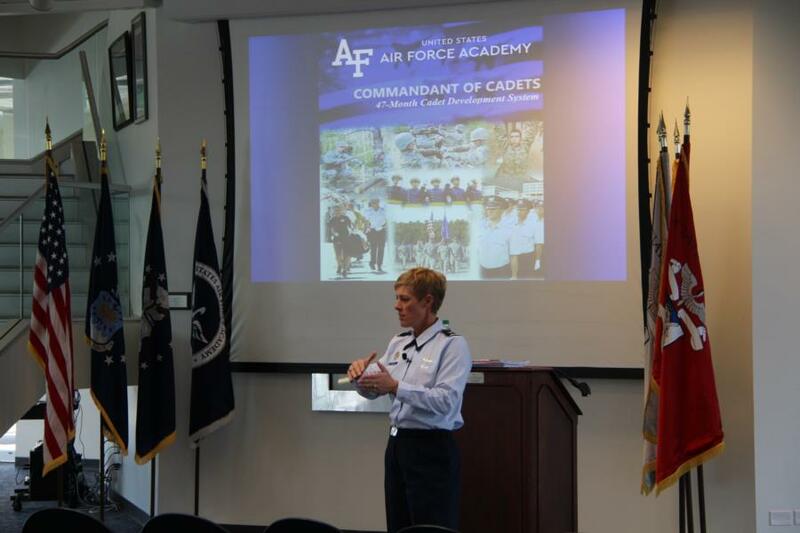 This outline would help cadets focus and what needs to be done and what is upcoming on their journey through USAFA. The four Warrior Weekends were discussed. 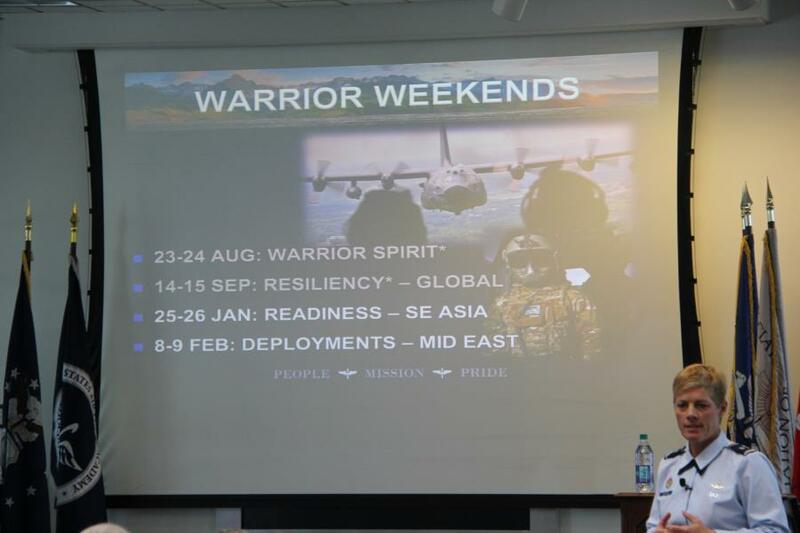 The 2 previous weekends were themed Warrior Spirit and Global(Space). The upcoming Warrior Weekends will focus on SE Asia and the Middle East. These weekends are run by 180 Cadet Cadre leading almost the entire Cadet Wing in training sessions. 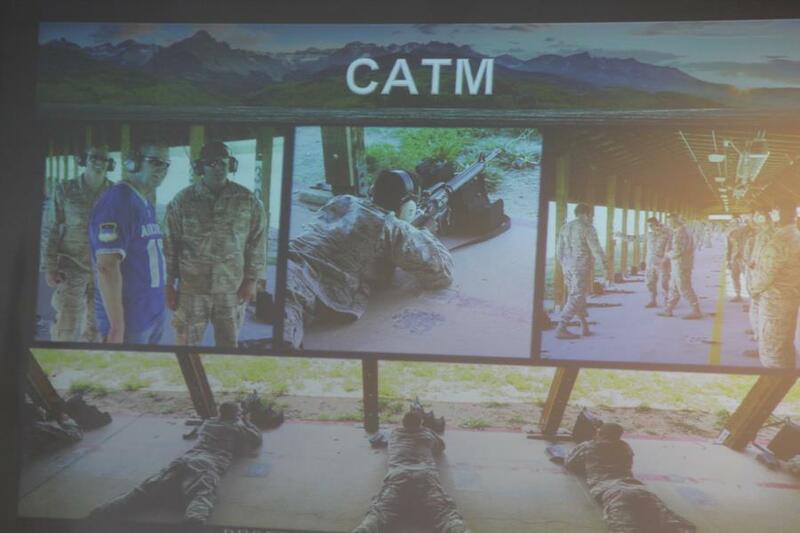 The focus on CATM was to help qualify First Class Cadets with firearms. The goal has not been met but there have been great improvements to the program. 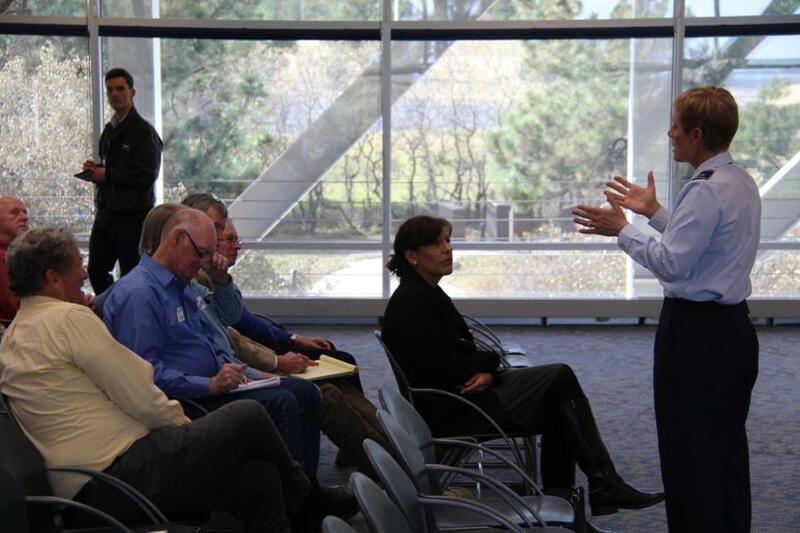 After her presentation there was a Q&A session to answer any of the audiences questions. To view the rest of the pictures from our coverage, go to Galleries > Military Training > Character and Leadership Development. Or click the link below.